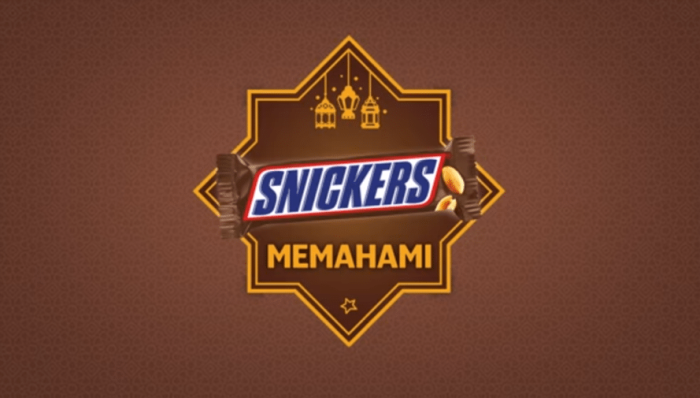 SNICKERS Malaysia has released its second SNICKERS Memahami (SNICKERS Understands) campaign this Ramadan to promote compassion and understanding among Malaysians. This year, the campaign saw the release of a short SNICKERS film, The Shift Switch. The video had gained more than 1,500,000 views, according to the press statement, on both its YouTube channel and Facebook page at the time of writing. In the campaign, the film captured Malaysians who would switch shifts with their Muslim colleagues and friends to enable them to have a meaningful Iftar (break fast) this year. This inspired other locals to do the same following the movement. Among those that joined the movement include local TV actress, Sharifah Sakinah, radio personalities DJ Phei Yong and DJ Dina Nadzir and social media influencers Lucas Lau and Faar Ain, who showed support by standing in for their Muslim friends, enabling them to enjoy a meaningful Iftar. According to Sakinah, the movement allowed her to make a difference in someone else’s life during this month of Ramadan, through a small yet meaningful act of kindness. Echoing the same sentiments, DJ Phei Yong said he hoped that Malaysians will continue being the catalysts in promoting togetherness this Ramadan. “Being part of this campaign is truly a great way to encourage tolerance and respect between Malaysians who come from different cultural and religious backgrounds,” he added. “We are glad to see our well-respected local personalities playing essential roles in this campaign to make a difference for our Muslim friends, especially those who work in long shifts during the fasting month and are not able to make it home in time for Iftar with their loved ones. We hope to continue inspiring Malaysians together to not only appreciate and understand other religious cultures and practices, but to also go the extra mile to show a small act of kindness towards the shift-workers,” Yee Pek Kuan, category business unit director of Mars Developing Asia said. Shirlena Tan has over 20 years of hospitality experience across various four and five star properties. ..
Local banking giant DBS' first campaign for its investment services offering, DBS Treasures, pulled in 100 new customers for the b.. Even Burger King responded when a debate over which fast food brand had the best fries ensued. ..
Indiegogo's pilot programme is now officially the 'China Global Fast-Track Program' which will help Chinese projects secure fundin..